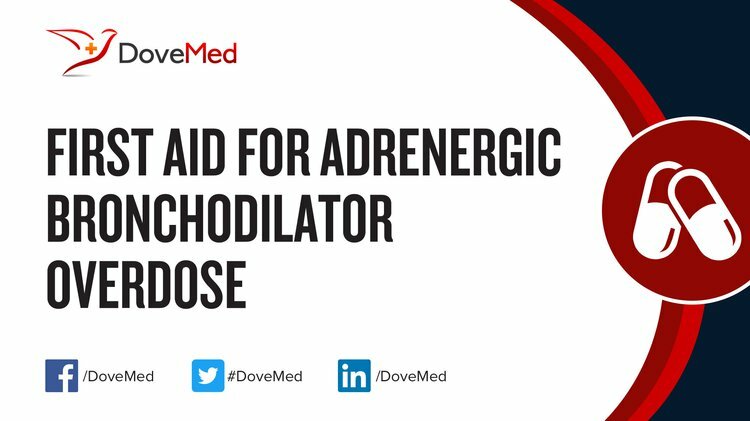 Adrenergic Bronchodilator Overdose is the accidental or intentional intake of the drug in dosage higher than prescribed values. What is Adrenergic Bronchodilator Overdose? Adrenergic bronchodilators are sold as Albuterol (Proventil, Ventolin), Bitolterol (Tornalate), Ephedrine (Ephed II), Epinephrine (Adrenalin, AsthmaHaler, Bronitin Mist, Bronkaid Mist, Medihaler-Epi, Primatene Mist, EpiPen Auto-Injector, Sus-Phrine, Twinject), Ethylnorepinephrine (Bronkephrine), Isoetharine (Arm-a-Med Isoetharine, Bronkometer, Bronkosol, Dey-Dose Isoetharine, Dispos-a-Med Isoetharine, Dey-Lute Isoetharine), Isoproterenol (Aerolone, Dey-Dose Isoproterenol, Dispos-a-Med Isoproterenol, Isuprel, Medihaler-Iso, Norisodrine Aerotrol, Vapo-Iso), Metaproterenol (Alupent, Arm-a-Med Metaproterenol, Dey-Dose Metaproterenol, Dey-Lute Metaproterenol, Metaprel), Pirbuterol (Maxair), and Racepinephrine (AsthmaNefrin, Dey-Dose Racepinephrine, Vaponefrin), and Terbutaline (Breathaire, Brethine, Bricanyl) among others. What are the Causes of Adrenergic Bronchodilator Overdose? What are the Signs and Symptoms of Adrenergic Bronchodilator Overdose? The signs and symptoms of Adrenergic Bronchodilator Overdose can vary from one individual to another. It may be mild in some and severe in others. Several systems of the body, such as the respiratory system, nervous system, vascular system, digestive system, skin and ENT may be affected. How is First Aid administered for Adrenergic Bronchodilator Overdose? Who should administer First Aid for Adrenergic Bronchodilator Overdose? First aid for Adrenergic Bronchodilator Overdose is administered by healthcare professionals. What is the Prognosis of Adrenergic Bronchodilator Overdose? How can Adrenergic Bronchodilator Overdose be Prevented? Reed, C. E. (2010). Asthma in the elderly: diagnosis and management. Journal of Allergy and Clinical Immunology, 126(4), 681-687. Glatstein, M. M., Rimon, A., Koren, L., Marom, R., Danino, D., & Scolnik, D. (2013). Unintentional oral beta agonist overdose: case report and review of the literature. American journal of therapeutics, 20(3), 311-314. Young, C. A. (2014). Umeclidinium–vilanterol: First once-daily dual bronchodilator for COPD. Pharmacy Today, 20(2), 28. Ayaz, S. P. N., Doğan, M., Oruc, M., Oner¹, B. S., Celebi, C. G. A., Soylu¹, A. E. B. O., & Celbis, O. Suicidal Death from Pseudoephedrine Sulfate Overdose: A Case Report. Raju, C. H., & Ravindranath, M. (2017). A study of the relative bronchodilator responsiveness in smoker asthmatics. International Journal of Advances in Medicine, 3(2), 332-337. Agent, B. A. R. B. Pr INDERAL®-LA. Shamsuzzaman, M., Kavita, G., & Arunabha, R. Methylxanthine induced cardiotoxicity and its mechanisms: An experimental study. Wojciechowski, P. J., & Hurford, W. E. (2011). Pharmacology of the Airways. In Principles and Practice of Anesthesia for Thoracic Surgery (pp. 121-132). Springer New York.